We provide flexible, on-demand floor plan drafting services to residential as well as corporate sectors. Our exposure to the arena of floor plan drafting services has simplified the problem of various clients, spread across the globe. Due to our effective drafting capabilities and technologically advanced AutoCAD software, we are able to convert the architectural drawings and samples into digital format. Our floor plan designing and floor plan drafting solutions ensure optimum flexibility, as the digitally designed plan can be altered within a short span of time. These digital prototypes allow the clients to view a designed object in 3D format at any desired angle. This further helps clients in acquiring complete knowledge on how their structure will look eventually. With our effective designing and drafting services, we cater to the specific requirements of construction, engineering and residential buildings. 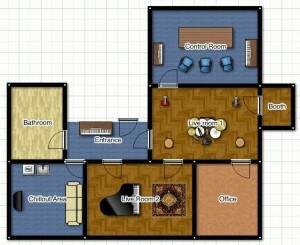 In addition, one can add personalized touches to their sketched plan layout through our floor drafting solutions. We have a team of architects and engineers who provide ample options for remodelling the prototype in accordance with client preference. Our innovative, accurate and reliable services have always added value to our customers projects and that is what we continuously strive to maintain.